Are you an EA Access or Origin Access member yet? If not, here's a good reason to change that! 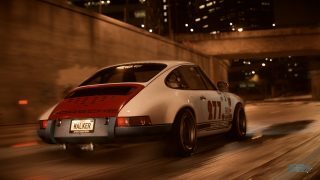 On July 12th, Need for Speed will drop in The Vault. Members will be able to play as much NFS as they like on their journey to become the Ultimate Icon. Get behind the wheel of an iconic car and customize it just the way you want, from visual and performance modifications, to the handling setup and paint job. Discover Ventura Bay. From the dense city streets to the winding roads that lead you to the harbor and through the canyons, this is your Urban Playground, go tear up the streets. Do that, and you'll earn the recognition and respect you deserve from the city's automotive Icons. EA Access and Origin Access members will be able to take advantage of the Living Game updates too. Take on Legends within Eddie’s Challenge, get behind the wheel of the monstrous Hot Rods or test your skills against the best within the Multiplayer SpeedLists. All this and more awaits you in Ventura Bay. Need for Speed arrives in The Vault on July 12th. For more information about Origin Access including a full list of Vault titles and available Play First Trials, visit https://www.origin.com/store/origin-access. For all the information on EA Access, including a complete list of Vault games and Play First Trials head on over to www.ea.com/eaaccess.